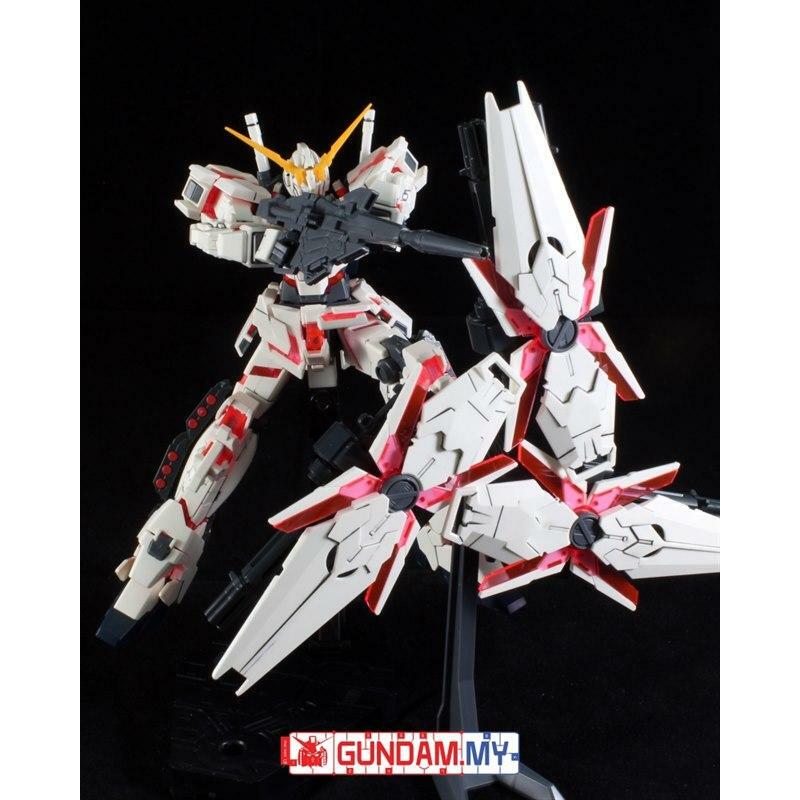 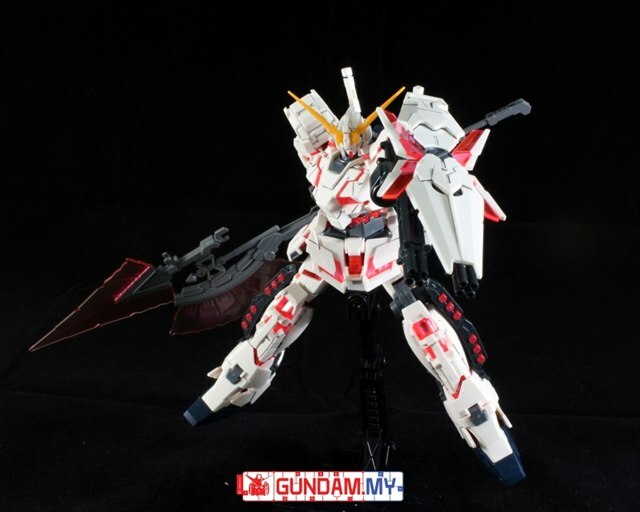 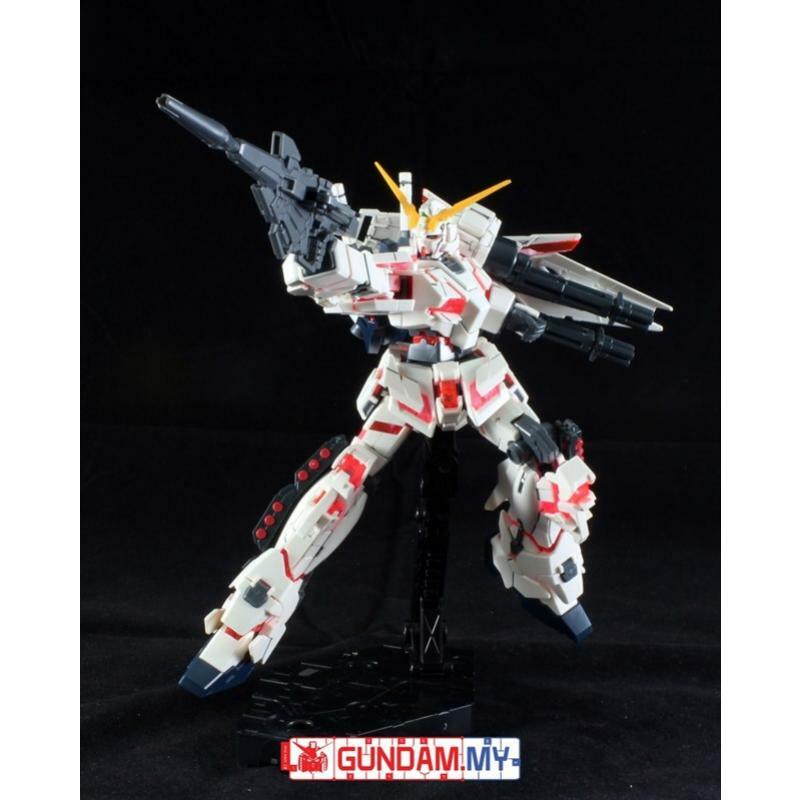 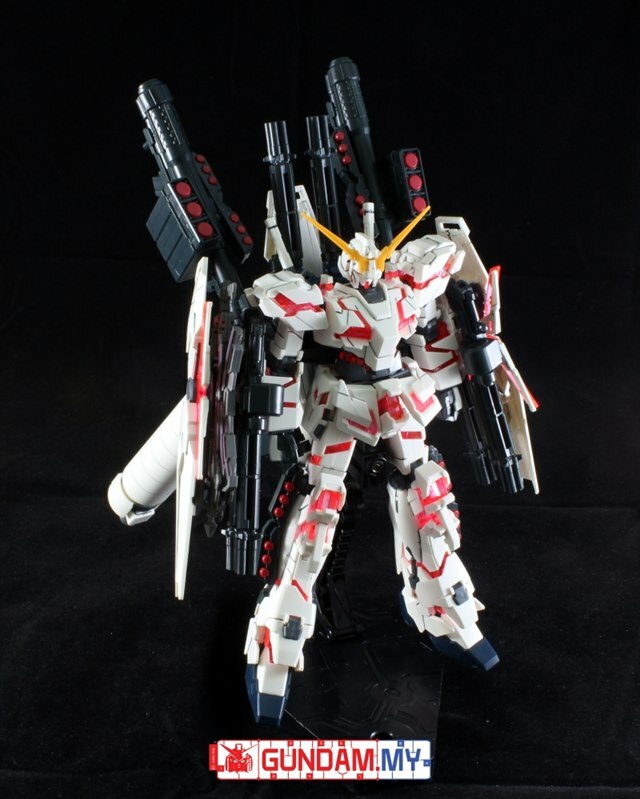 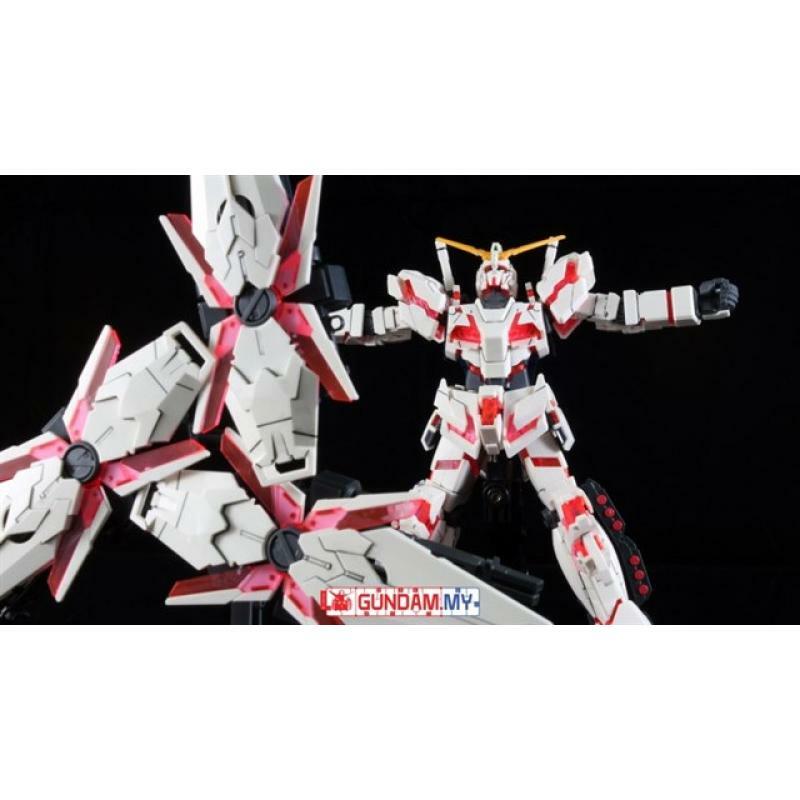 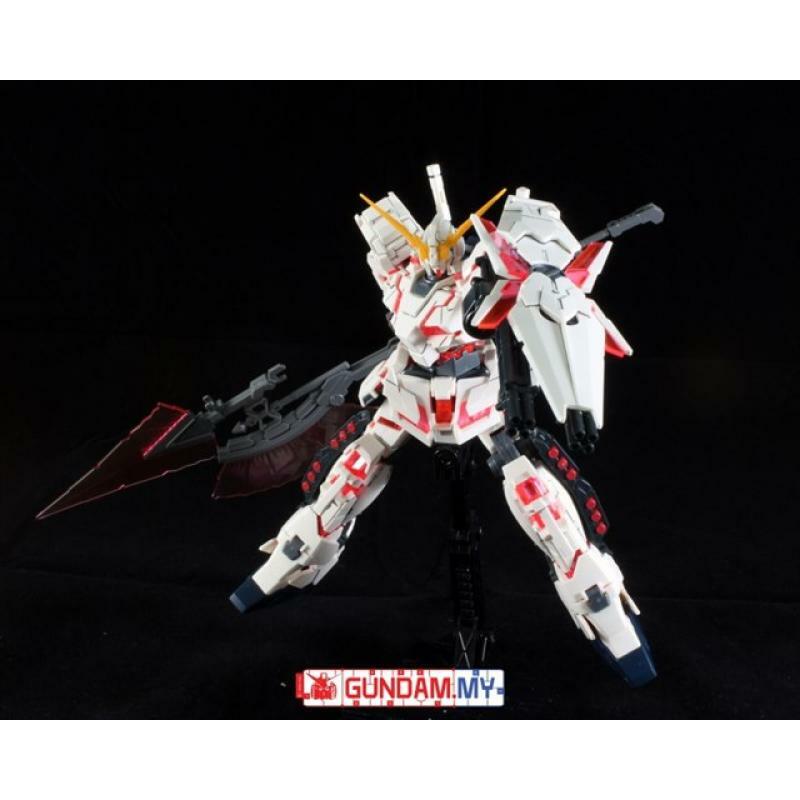 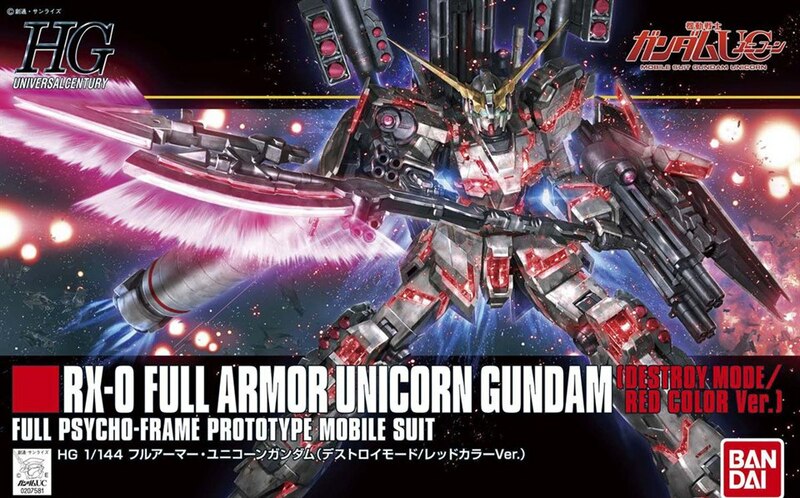 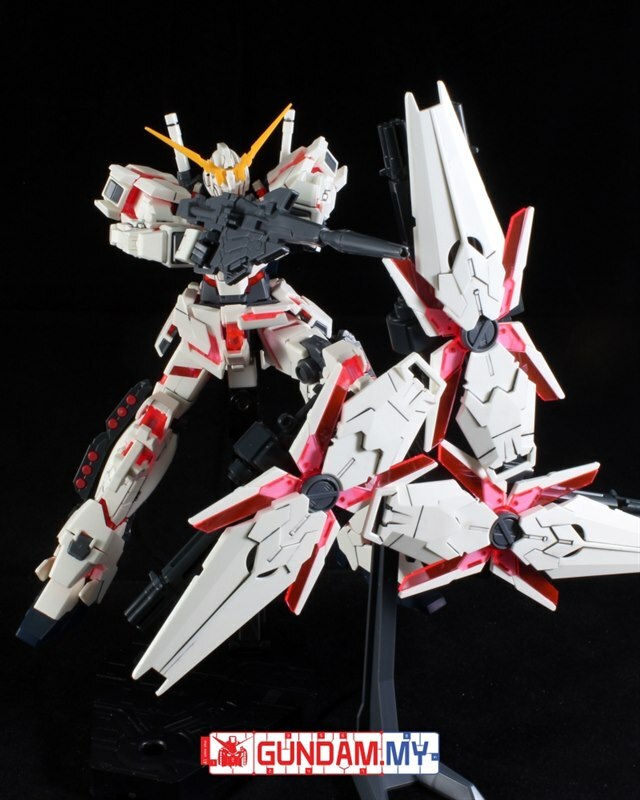 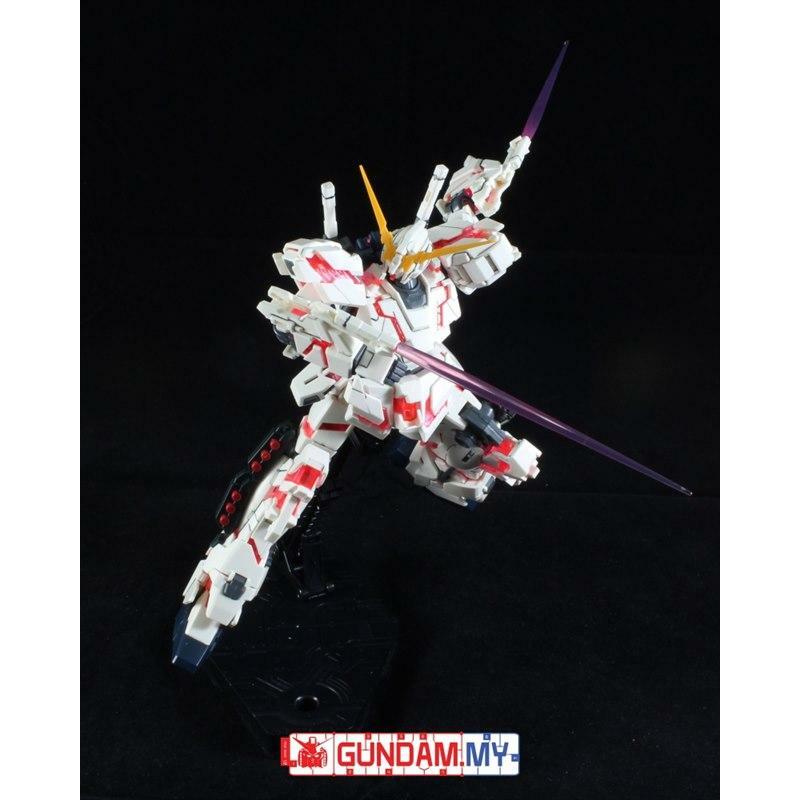 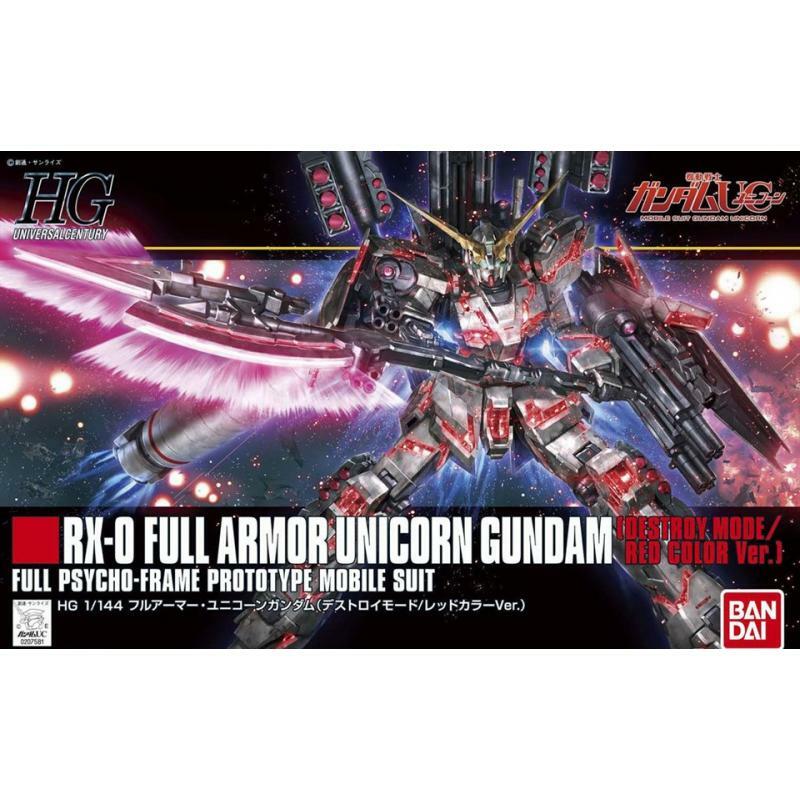 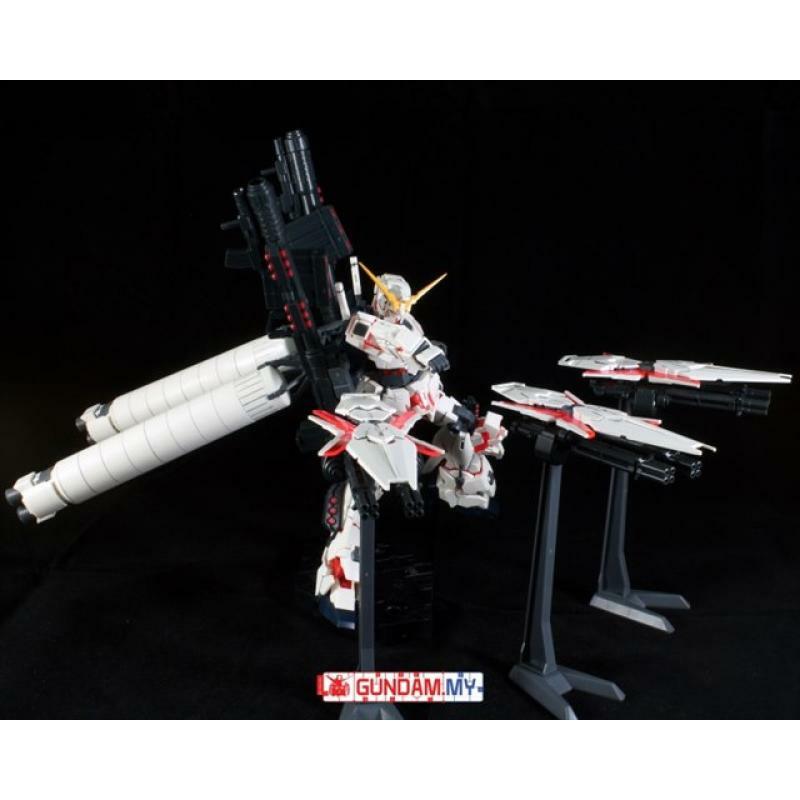 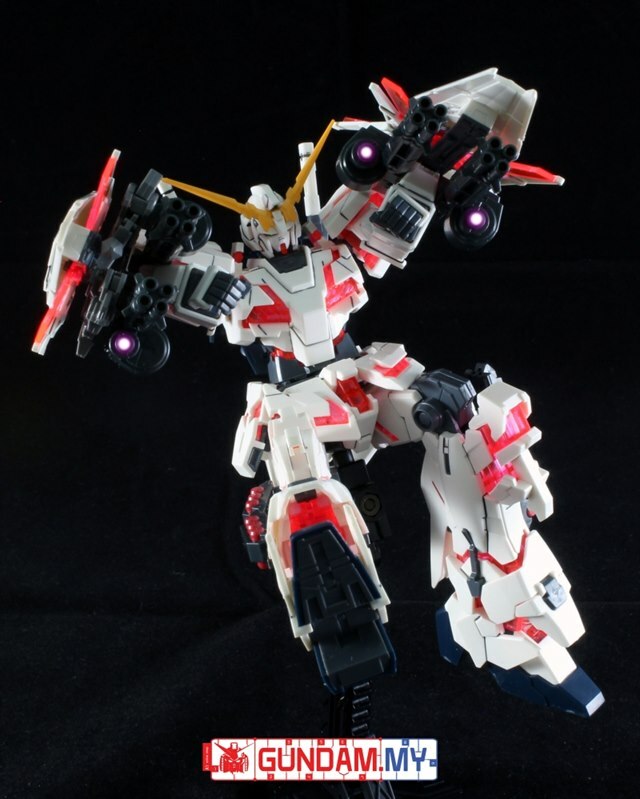 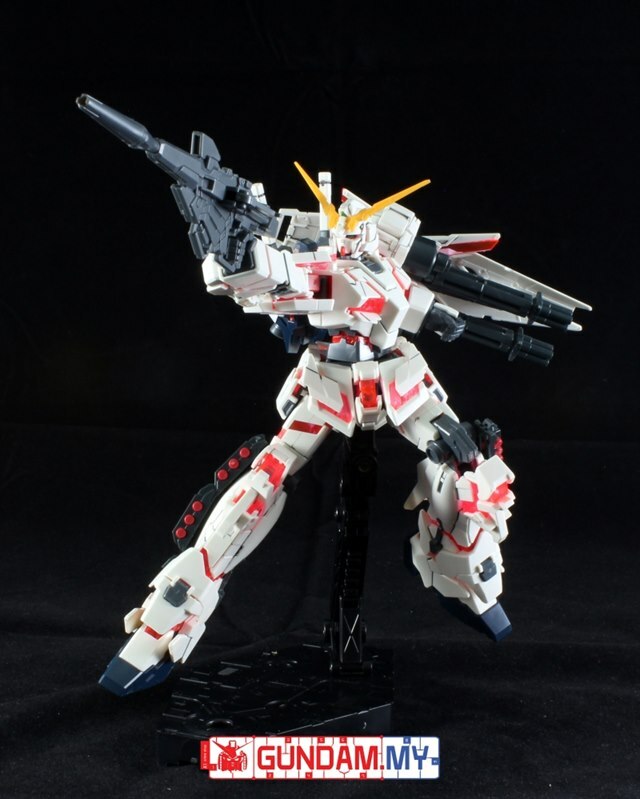 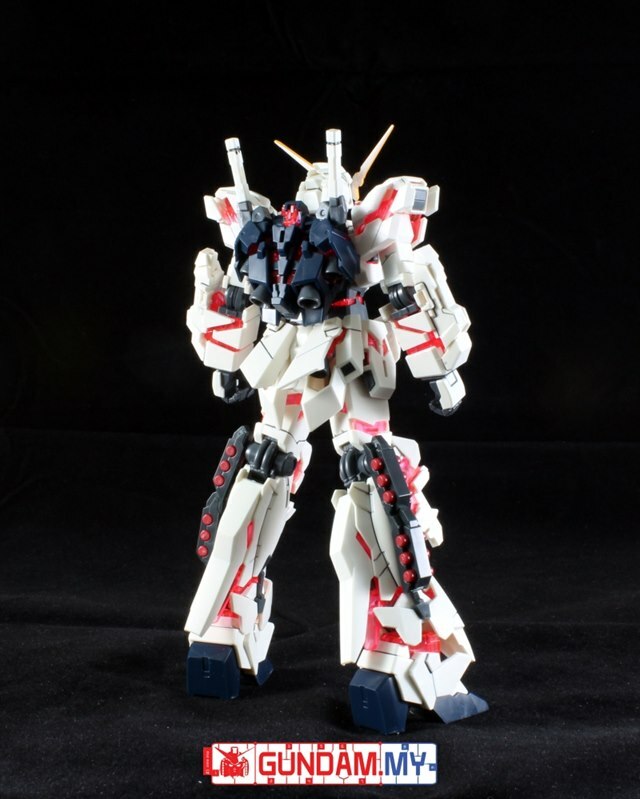 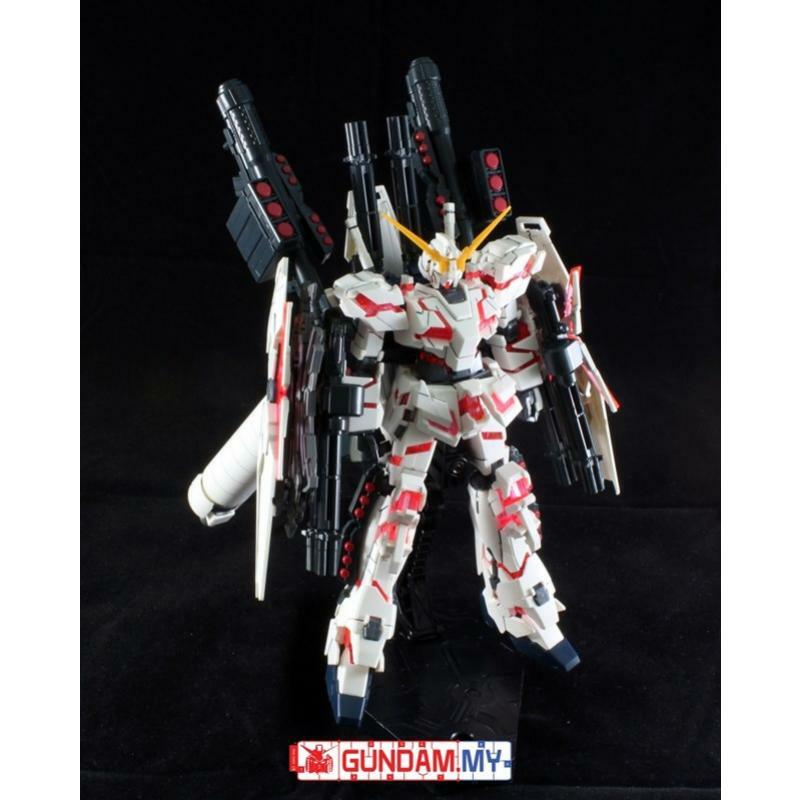 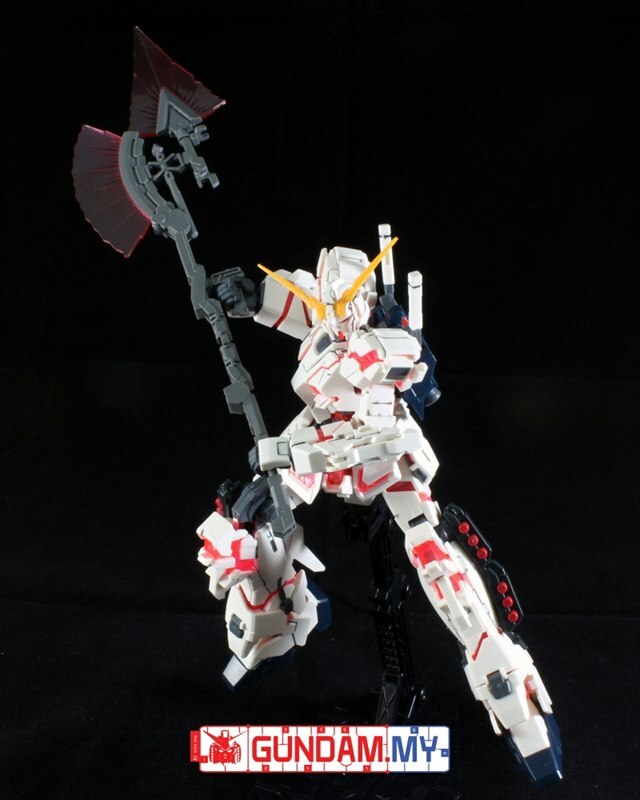 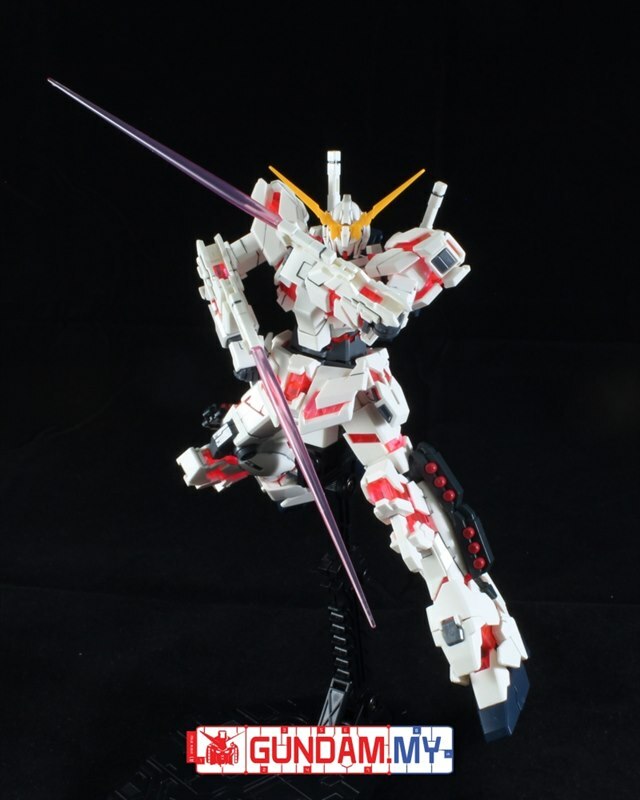 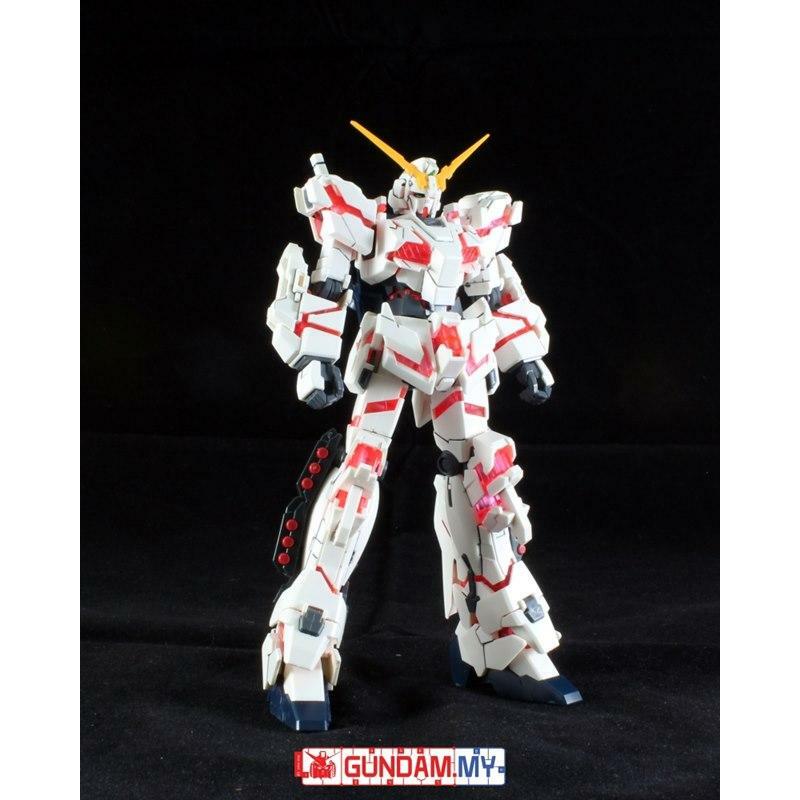 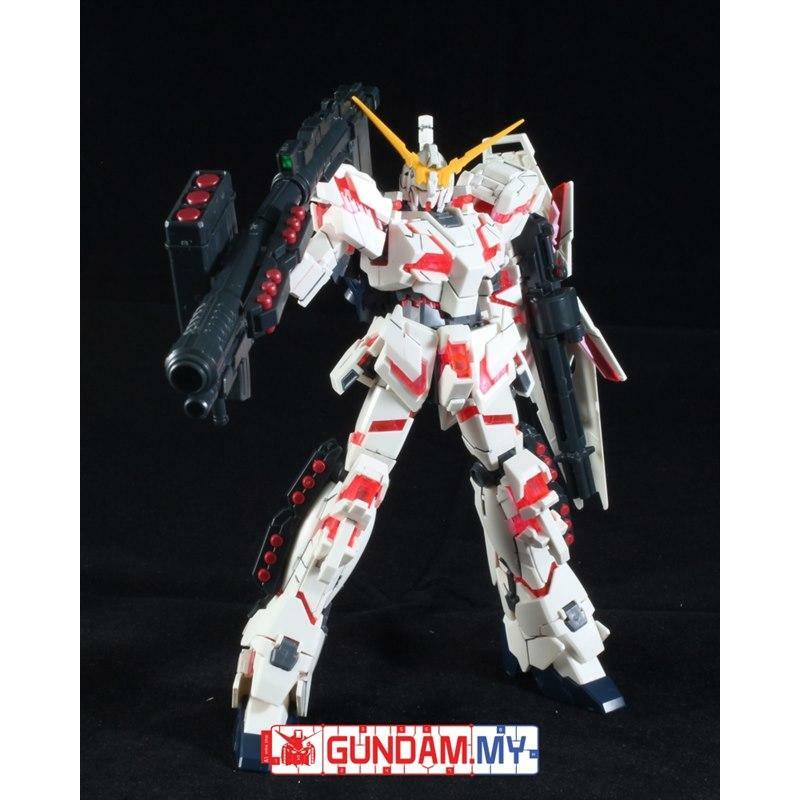 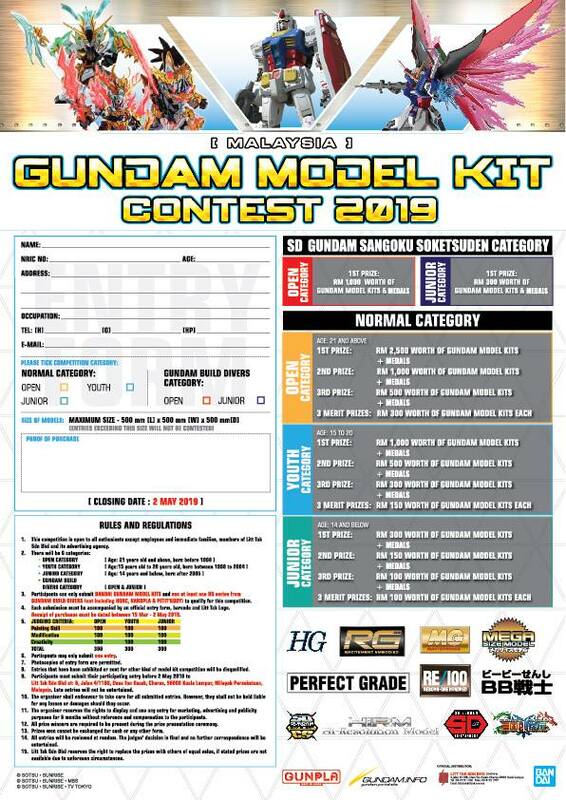 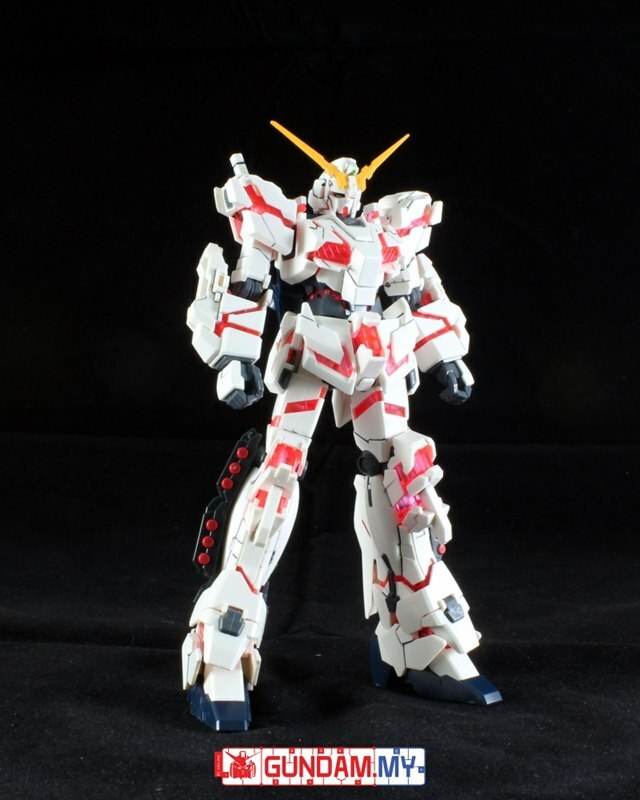 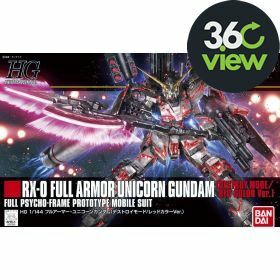 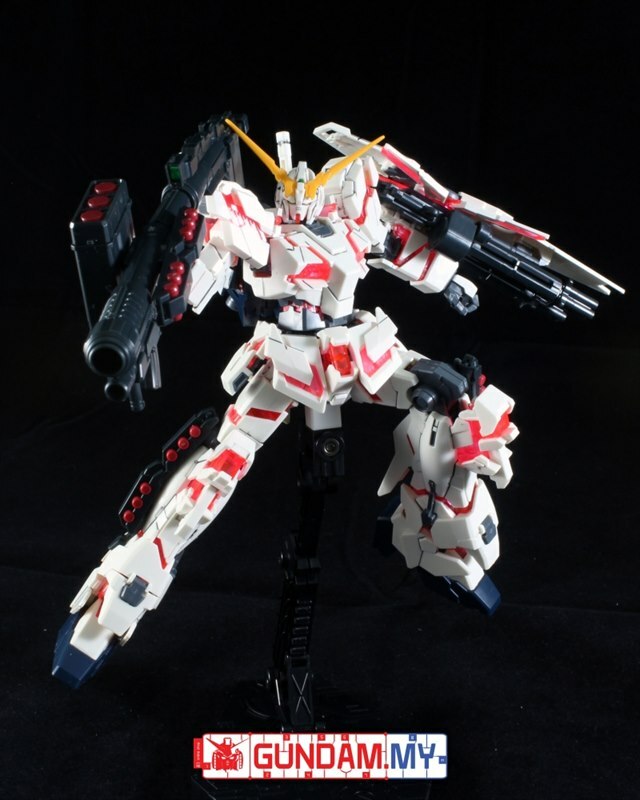 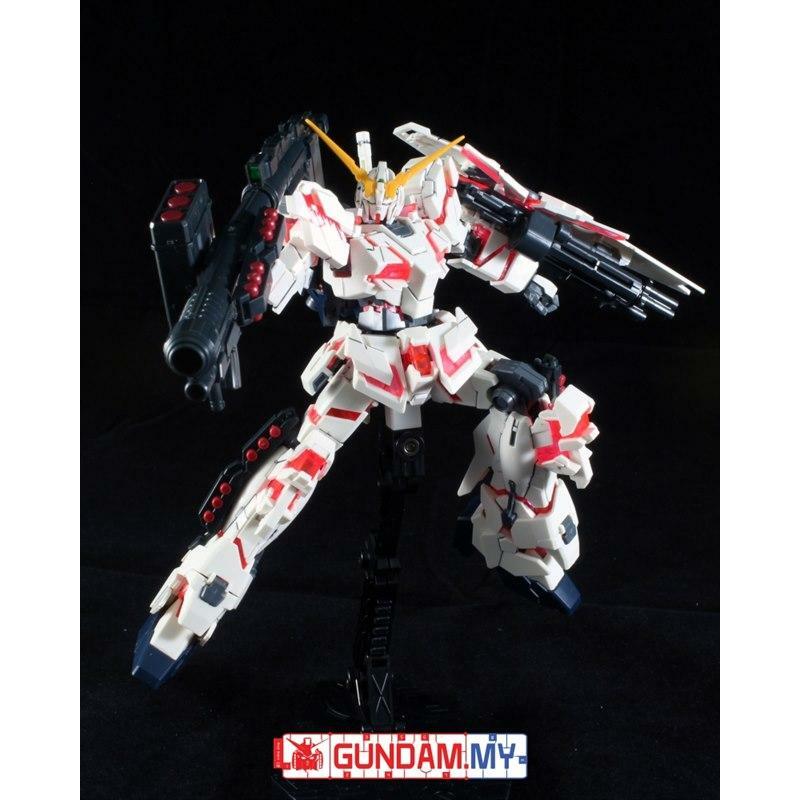 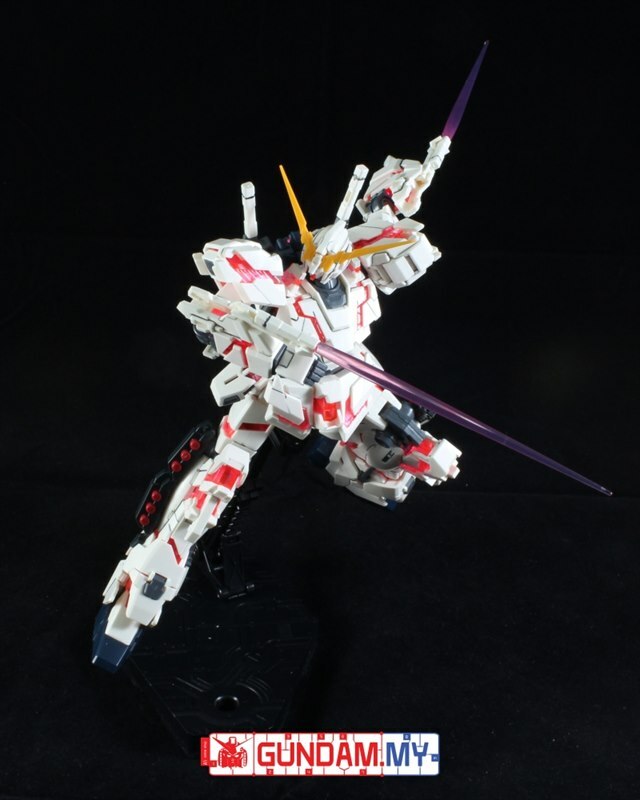 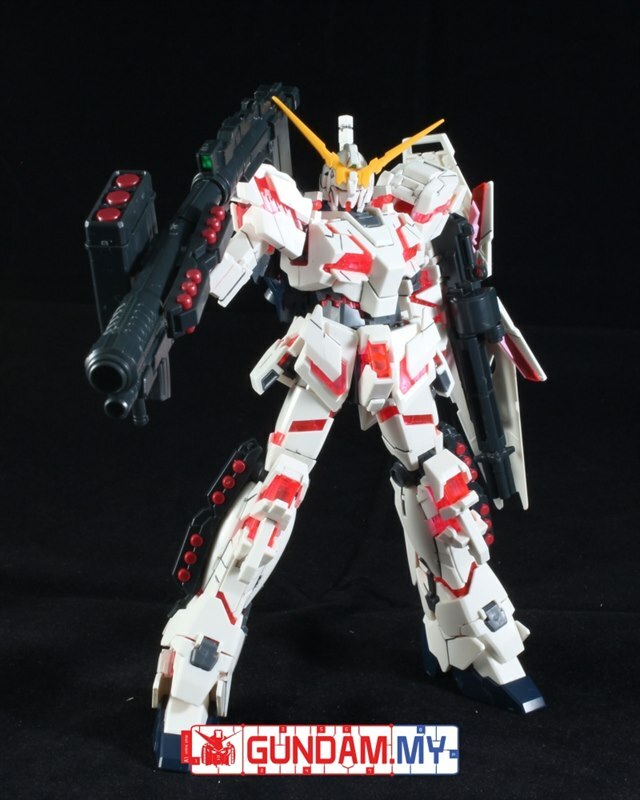 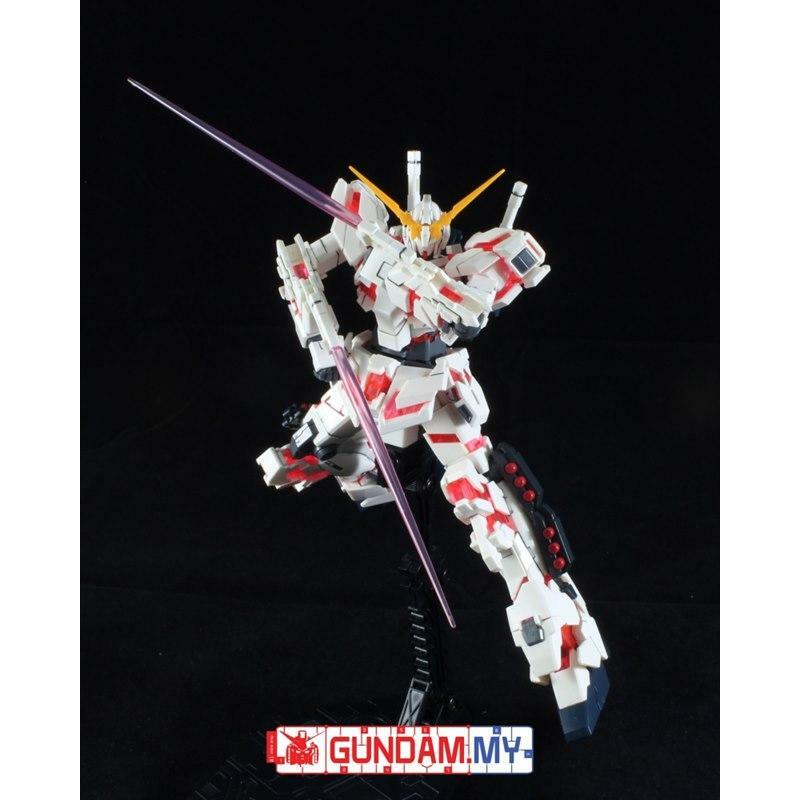 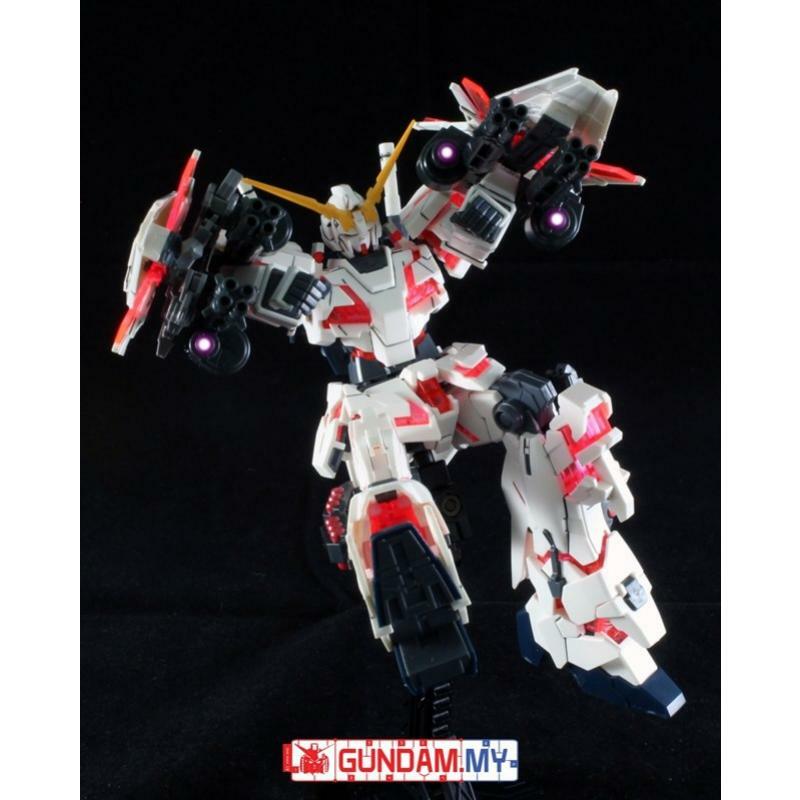 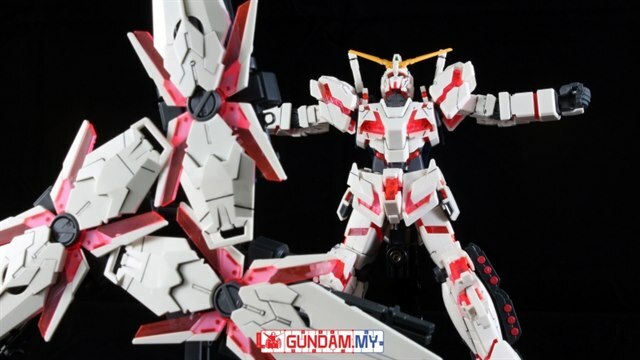 The red-framed Full Armor Unicorn Gundam (Destroy Mode) from Mobile Suit Gundam Unicorn RE:0096 comes to HGUC! 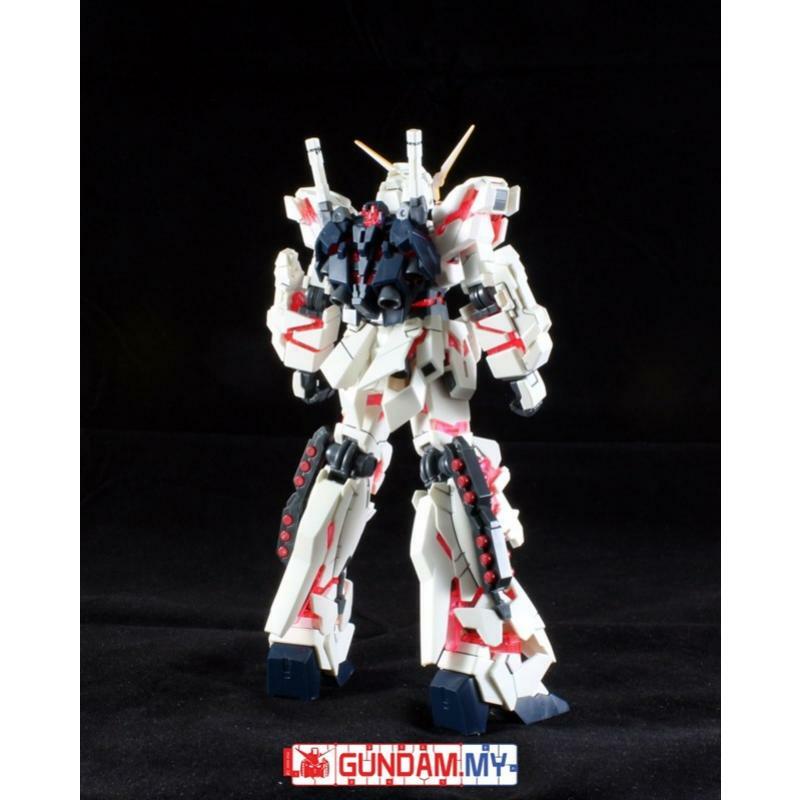 Apart from the alternate Psycoframe color, it also has new markings designed by Hajime Katoki for RE:0096 and a new hyper beam javelin. 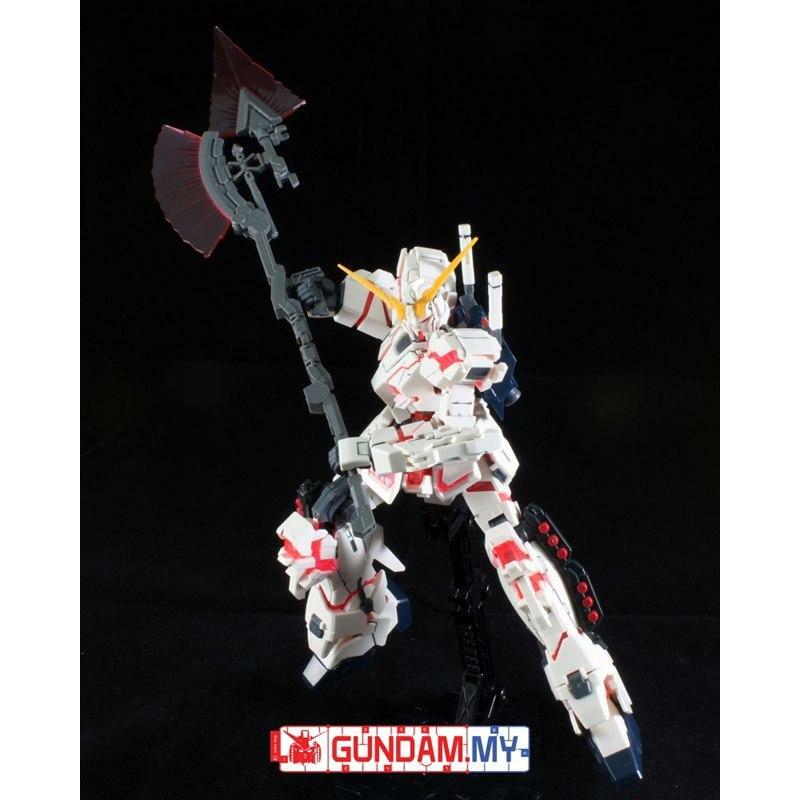 Build it fully-armed with a range of option parts! 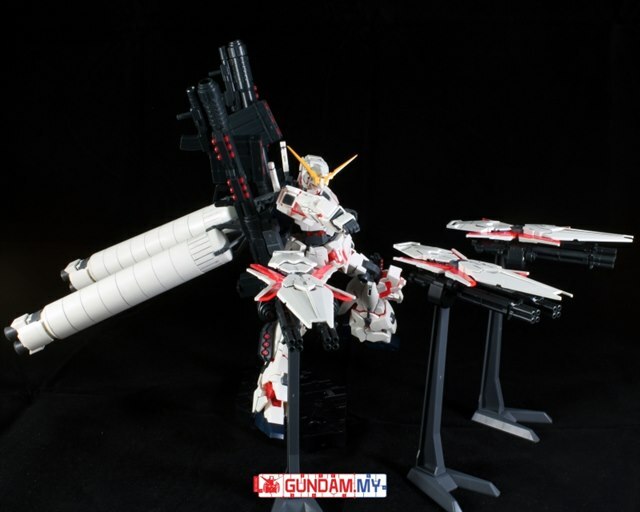 A special shield gatling stand supports all three for display.